Equipped with NEMA or metric C-face motors, the close-coupled CGMC design eliminates the cost and concern associated with pump/motor alignment, while reducing overall length by approximately 20 percent compared to conventionally mounted pumps, allowing placement in restricted spaces. The CGMC hydraulic head conforms to ANSI B73.1 process pump dimensional standards, allowing drop-in replacements without piping or installation modifications. Non-metallic containment can with a thermoplastic wet end and backed by a rigid, non-metallic composite for added stability. This construction enhances efficiency by avoiding troublesome eddy currents. Thermoplastic sleeve assembly completely isolates the stainless steel shaft from the fluid. Pump casing components and impeller are molded from homogeneous, virgin thermoplastics (polypropylene or polyvinylidene fluoride). High performance, permanent rare earth magnets offer power ratings to 30 hp at 3600 for flow rates to 400 gpm (91 m3/hr) and heads to 180 ft (55 m). 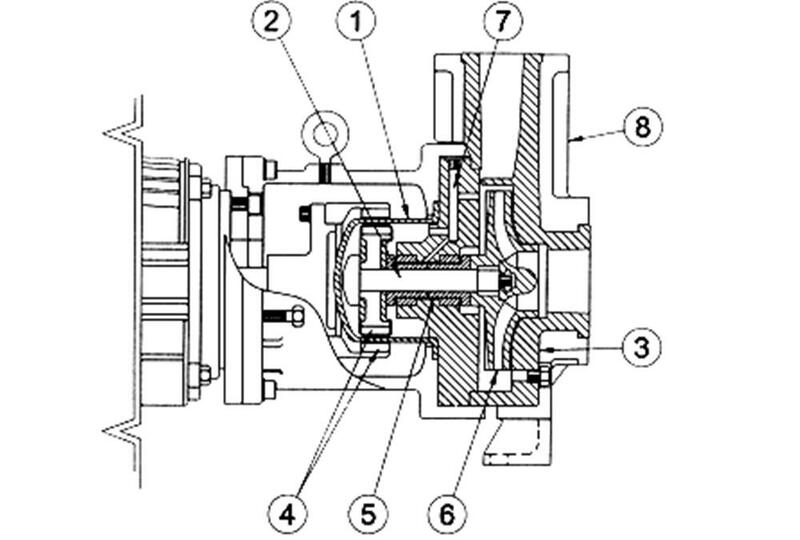 The pumps are recommended for service at temperatures up to 225°F (107°C). High PV stationary and rotating sleeve/thrust bearings are offered in ultrapure alumina ceramic, siliconized graphite and silicon carbide. Dynamically balanced, closed thermoplastic impeller with molded-in stainless steel inserts are key-locked to the shaft. Chemical resistant two-part epoxy coated cast iron armor provides structural support and allows for same nozzle loadings as metal pumps. 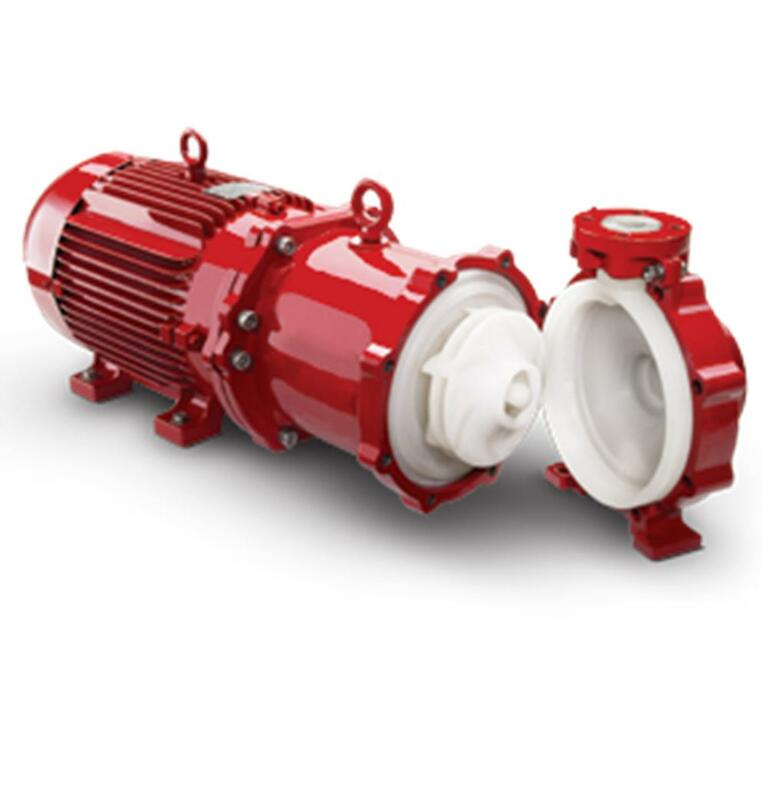 The CGMC hydraulic head conforms to ANSI B73.1 process pump dimensional standards, allowing for drop-in replacements without piping or installation modifications. *Dimensions and specifications subject to change and may vary slightly with motor manufacturer selected.